With just a week to go until the game finally hits shelves, Sony has revealed a release schedule for the Marvel’s Spider-Man DLC. The DLC will take the form of three additional chapters, which will collectively be known as Marvel’s Spider-Man: The City That Never Sleeps. The first chapter is “The Heist,” which will be available on October 23 and will feature Felicia “Black Cat” Hardy; the second, “Turf Wars,” will release in November, with the final chapter, “Silver Lining,” releasing in December. While no more information has been given about the latter two, “The Heist” is said to feature “a brand new faction of enemies and three additional suits to unlock,” along with Black Cat. A bundle of all three chapters of the Marvel’s Spider-Man DLC – the entire City That Never Sleeps – is currently available as a bundle from PlayStation Store for $24.99; the individual chapters will go on sale on their release dates for $9.99 each. You can also buy the Digital Deluxe Edition of Marvel’s Spider-Man, which includes the full game and all three chapters of The City That Never Sleeps, for $79.99. 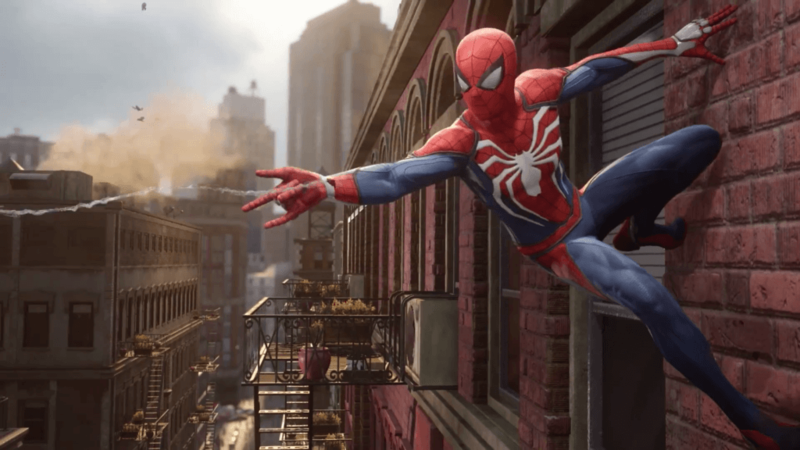 Additionally, Insomniac Games community director James Stevenson has confirmed on Twitter that Marvel’s Spider-Man will take the average player about twenty hours to complete, but much longer if you want to explore all the side quests and such. All of that pretty much speaks for itself, I suppose. Everyone and their mother are stoked out of their mind for this game, and for good reason. It looks packed with villains and Spidey action, and the Marvel’s Spider-Man DLC can only add to the fun. Each chapter sounds distinct from the others as well; “The Heist” will obviously involve some kind of robbery, while “Turf Wars” suggests warring criminal factions (with, I imagine, Spider-Man caught in the middle). And it’s a safe bet that “Silver Lining” will revolve around Silver Sable, who is confirmed as appearing in the game (unless it’s about Spidey vs. Silvermane). The game length sounds about right too, especially when you factor in the side quests. All of this confirms what everything leading up to these announcements indicated: the folks at Insomniac genuinely want the fans to have a great, worthwhile experience. We’re all on the edge of our seats waiting to see if they’ll succeed. What do you think of the newest announcements? Will you be buying the Marvel’s Spider-Man DLC? Does the big white spider on Webhead’s chest still bug you? Let us know in the comments and check back with Geeks + Gamers for more on Marvel’s Spider-Man and plenty of other upcoming video games!